Entwine Jewelry - "Long Embrace Necklace"
This necklace features hand-formed copper links and wire wrapped copper beads. Materials include copper wire, 6 mm. copper bicone tradebeads, 17 mm. 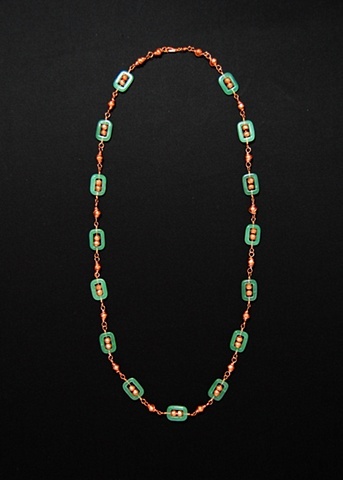 rectangular cut, semiprecious green stones, and a copper plated brass lobster clasp.